Our challenge was to take inspiration from someone else’s project. 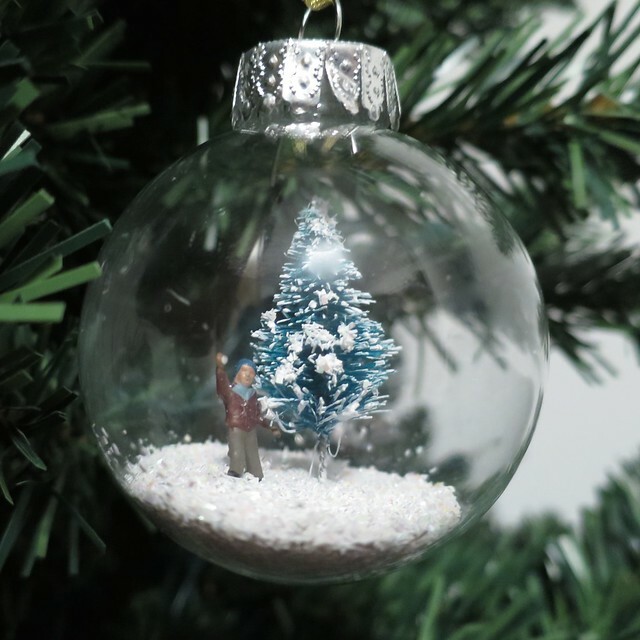 I love the finding the tree Christmas balls that Kat made. Here is the direction I took it. This process is not super time consuming, but the steps require drying time in between, so the whole thing start to finish is not one you can just whip out in an afternoon. The first step is collecting the egg shells. You need to take care (or not) to crack them the way you want them to look. Then wash them out and let them dry. Next, you will need to find an area that you can apply the spray adhesive to one side of the shell. I started with the inside. I cut open the side of a big brown grocery bag and made a tiny “spray booth” outside. The adhesive I used really forms a gummy coat on everything, and I would not want it in the house, or even on the lawn or the driveway. 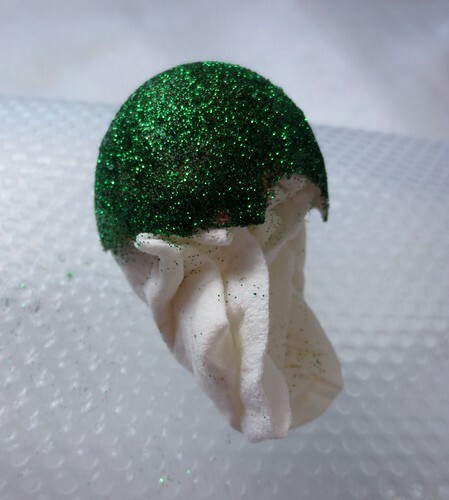 Once you have sprayed, sprinkle glitter into the egg and turn it around. I repeated this process twice for a deep snow effect. Let this dry. 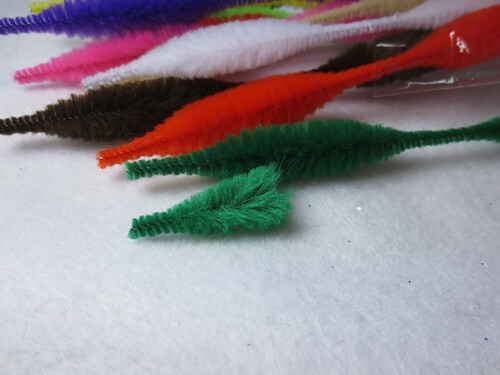 You need to make tree’s from the thick-thin chenille stems. Handling them carefully, and by the “thin” part, cut the trees out. You will get two trees out of each thick section. ONce the adhesive has dried, you can do the outside. I found it helpful to have a soft papertowel or kleenex ready at hand. Turn the shell over, and spray the outside. Stick a piece of tissue lightly in to form a “handle” of sorts. 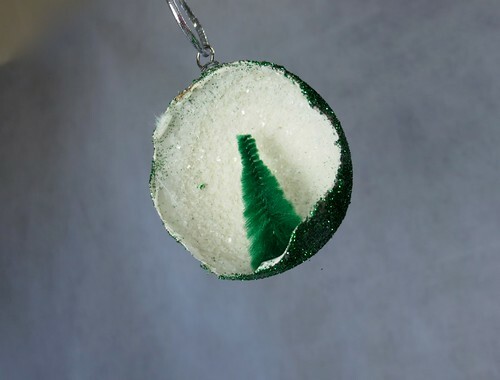 Pour the glitter over the outside and turn. It may be necessary to do two coats to really get coverage. 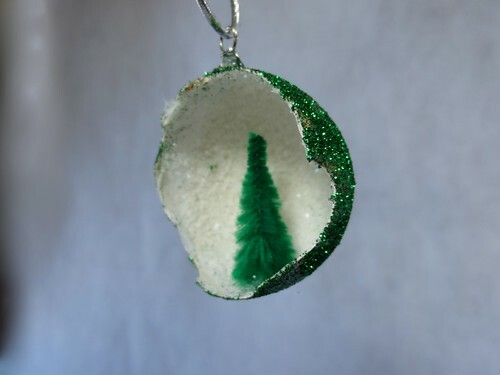 Using a hot glue gun, I attached a jump ring to the top to hang it from the tree. 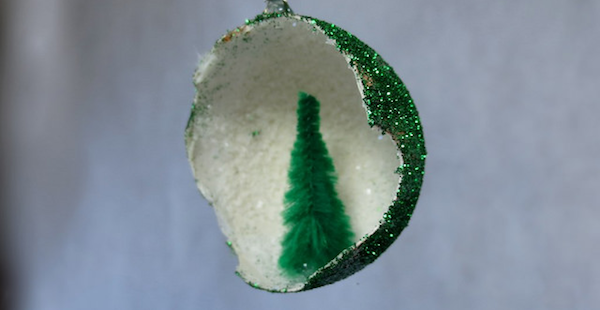 And I used a drop of hot glue to stick the tree into the shell. and voila, it is done. 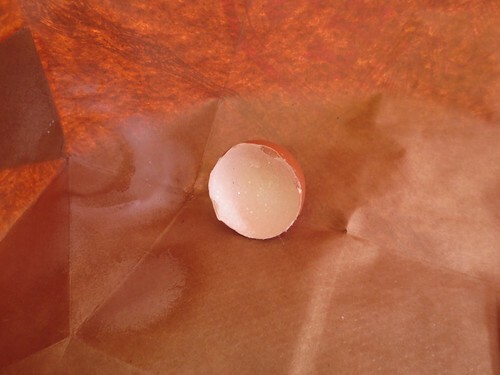 I may invest in an egg shell cutter, and experiment with that. 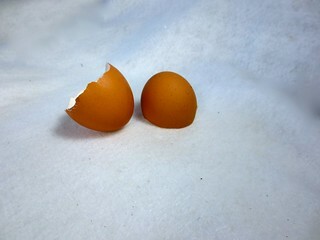 Or, for a less organic look at the shell break, you could always just use plastic Easter eggs. But for now, this one charms me. I am mesmerized by the glitter. 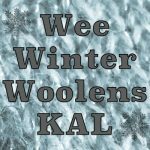 5 years ago by Susi in Challenges , Christmas , Craft Projects , Holiday , Iron Craft , Projects | You can follow any responses to this entry through the RSS feed. You can leave a response, or trackback from your own site.